Dr. Mark Jewell, one of the leading plastic surgeons in Eugene, Oregon, says research shows improvements in surgical technique appears to limit this disorder. Dr. Mark Jewell, a leading plastic surgeon in Eugene, Oregon, and nationally renowned breast augmentation specialist, discusses concerns about BIA-ALCL. Certain improved surgical techniques appear to limit the occurrence of a rare cancer related to breast implants, according to research performed by Dr. Mark Jewell, one of the top plastic surgeons in Eugene, Oregon, and some of his colleagues. BIA-ALCL is a highly treatable and rare disorder. Dr. Jewell, who has been involved with investigating it for more than 6 years, says the risk of developing the disease is about 1 out of every 30,000 patients who get textured breast implants. (Patients with smooth implants have virtually no risk of getting BIA-ALCL). That is a 0.003 chance. As a comparison, 1 of every 8 women develops breast cancer, or 12.5 percent. One in 3 women die from cardiovascular and stroke causes. The professional societies for Plastic Surgery, ASAPS and ASPS, released a joint response regarding the data surrounding BIA-ALCL. Most physicians agree that removing the breast implant and thoroughly evaluating the tissue and lymph nodes located near the breast effectively treats BIA-ALCL. In addition to researching BIA-ALCL and the management of breast implant complications, Dr. Jewell and 7 other surgeons will publish a peer-reviewed, international, multicenter scientific study on 42,000 textured breast implants that were implanted with a protocol to prevent infection and biofilm contamination. Patients had a mean follow-up of 8.8 years, and there was zero incidence of BIA-ALCL. If you are considering getting breast implants and want to learn more about the procedure or have questions about BIA-ALCL, request a consultation with Dr. Jewell using the online form, or call his office at (541) 683-3234. 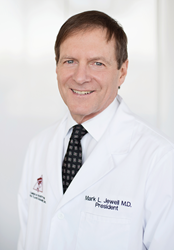 Dr. Mark Jewell (http://www.markjewellmd.com) is a board-certified plastic surgeon serving Eugene, Oregon, who specializes in cosmetic breast enhancement, including breast augmentation, as well as body contouring and facial rejuvenation. Dr. Jewell earned his medical degree from the University of Kansas and has more than 35 years of experience performing cosmetic and reconstructive plastic surgery. He is among the pioneers in the establishment of safety protocols in all facets of plastic surgery and in 2015 became only the fifth individual to be given the Leadership Award by the American Society for Aesthetic Plastic Surgery. He also serves as an Associate Clinical Professor of Plastic Surgery at Oregon Health Science University.